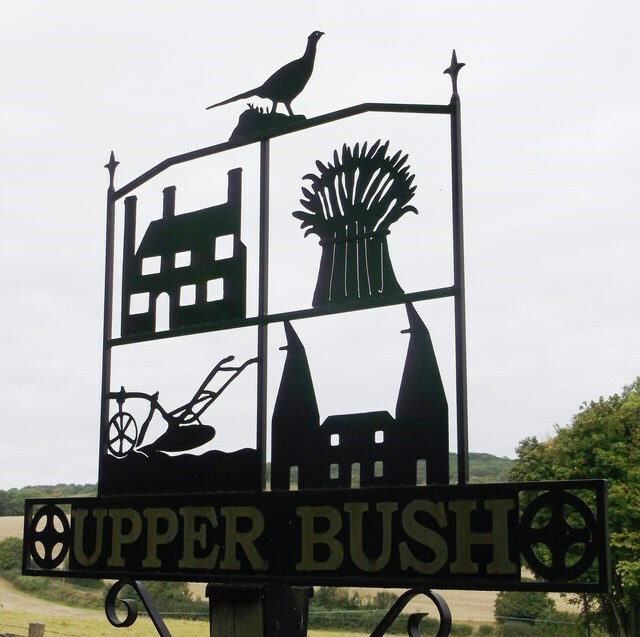 Upper Bush is a hamlet in the parish of Cuxton,in the unitary authority of Medway, in Kent. The hamlet has only a few houses, including two Grade II listed buildings; Barrow Hill House and High Birch. In Upper Bush there are four houses dating from 14th century and a Tudor Kentish Yeoman's house. The North Downs Way long distance path leads through the village, between Cuxton and Upper Halling. There is a North Downs Way milestone in the centre of this lovely hamlet and some lovely views across the fields. There is a small area to park near the Village sign and parking near the location of the cache once you have got the information required. This can also be done as an addition to our Dedicated to Dad series and is a short distance from #6.